When former President Barack Obama designated 1.35 million acres in Utah as the Bears Ears National Monument in December 2016, there’s no way he could have guessed Congress would be debating a reworked version of the monument’s lands just a year later. But the Trump administration’s attempt to rescind Bears Ears in southern Utah has supporters and detractors of the designation and its replacement fired up like never before. This debate descended on Congress Tuesday, when the House Committee on Natural Resources met to discuss H.R. 4532, introduced by Utah Rep. John Curtis last month, which attempts to create two smaller national monuments, Shash Jáa and Indian Creek, to replace a 230,000-acre portion of the original monument. Utah’s Republican Governor Gary Herbert testified in support of the bill while Ute Tribal Business Member Shaun Chapoose, representing the Bears Ears Inter-Tribal Coalition, testified against the bill. Each had opposing views about how things went down during the whole designation process in 2016 and, really, about what’s the best way to protect the land at all. Chapoose was the only person to testify against the bill, something with which he took issue. The other side featured three voices: Governor Herbert; Suzette Morris, a member of the White Mesa Ute Community; and Matthew Anderson, the director of the Coalition for Self-Government in the West, which is part of the Sutherland Institute,a conservative public policy think tank. However, other tribal leaders like Navajo Nation President Russel Begaye sat in the audience. The way Chapoose sees it, the bill would open up vast segments of sacred land to theft and degradation. By protecting just two popular locations, the bill puts the rest of this land at risk. Plus, he says bill sponsors never approached tribal leadership for consultation. According to the pro-bill side, Bears Ears happened with little attention toward local communities, stripping them, including indigenous peoples, of land rights like gathering wood and herbs. Herbert also thinks the original designation would actually attract more people to the region, instead of protecting it. “Lines on a map do not protect archaeological resources,” the governor said. If passed—which is a big if—the bill would do a number of things: It would not allow any mining or drilling activity within any of the original 1.35 million acres that made up Bears Ears. However, it would allow grazing and continued access for tribal uses. Under Bears Ears, not much is different. This designation protected the region from drilling and mining, and it never banned people from gathering herbs and other traditional uses. What makes this bill different from the original designation is not just its size, but the way tribes are included. Whereas Obama appointed a tribal coalition, which included elected officials, this bill appoints a tribal council that looks pretty different than the original one. The Tribal Management Council would be made up of seven individuals with some specific titles: one from the Interior Department or Department of Agriculture, three from the Navajo Nation (with at least one from the Aneth chapter, which opposed the designation), one from the White Mesa Utes of the Ute Mountain Ute Tribe, and two commissioners with the San Juan County Board. Unlike the commission, not all these members are tribal members. Also, the president would pick these council members. That’s not something everyone on the panel appeared to know. Suzette Morris, a member of the White Mesa Utes but not a representative of the greater Ute Mountain Ute Tribe, sat next to Chapoose (an elected official) during the hearing. She supported the bill as part of her work with the Stewards of San Juan County, a group that came together after the national monument was created. Living just a half hour from Bears Ears, Morris says she’s come to know the land intimately. As for the bill? Apparently not. When Committee Member Alan Lowenthal, a Democratic representative from California, asked her who chooses the committee members, she responded, “The people.” That’s not true, as the bill makes clear. The President shall appoint the members of the Shash Jáa Tribal Management Council ... for a term of five years, except that the President shall designate staggered terms for the members initially appointed to the Shash Jáa Tribal Management Council. The President may not reappoint a member to more than three consecutive terms. 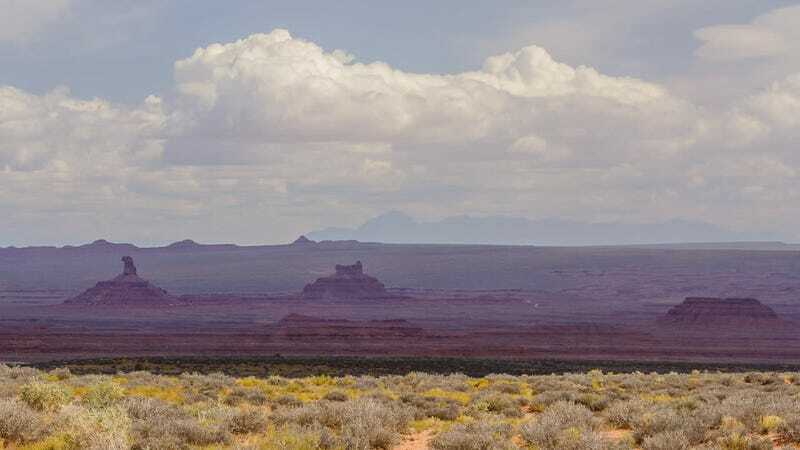 Now, bill author Curtis expressed he’d be open to amending the bill so that this process includes more input from members of the Bears Ears Inter-Tribal Commission. So far, the bill’s language mentions an attempt to consult and work with the commission. This hearing wasn’t the last of it. Another one is set to be scheduled, and then the committee will have to vote on the bill. Groups on both sides are clear they’re not done defending their stance. The tribes that supported Obama’s decision in 2016 already launched litigation against the Trump administration for its dismissal of Bears Ears. And this bill is trying to make sure that fails. Until all is resolved, the land is technically protected under the Bureau of Land Management. The question is: Will that be enough to guard these ancient indigenous ruins?